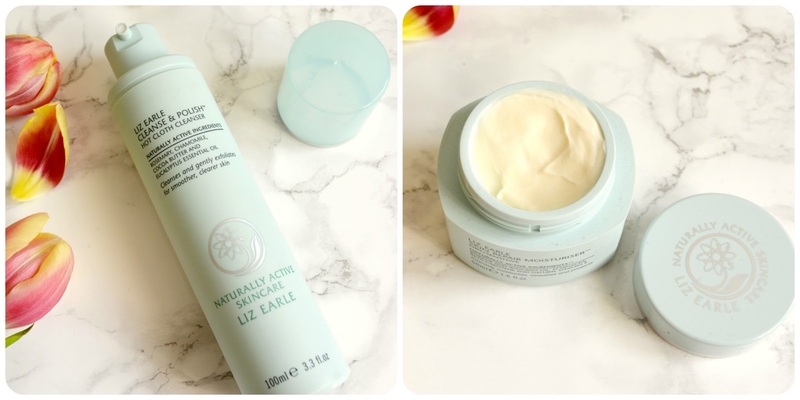 I finally got my hands on the 'talk of the town': The famous Liz Earle Cleanse & Polish Hot Cloth Cleanser and I know what you are going to say: "where have I been for the past 6 months? "...I know, I swear I was around and to add even more to my excitement I also got the Liz Earle Skin Repair Moisturiser because.... why not? 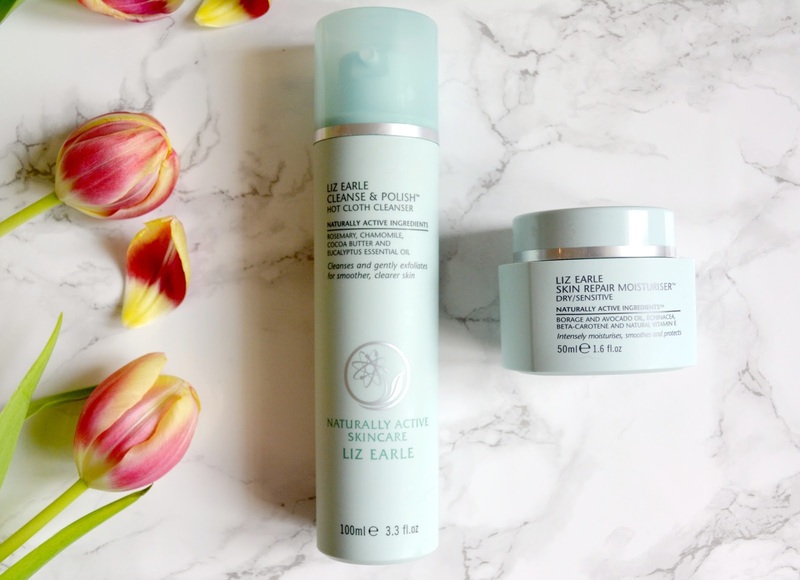 This little Liz Earle haul is my first, I have never tried it before and you know how it is, when you keep hearing or reading blog posts on a particular product then you just want to try it for yourself. Well, that's what I just did and got myself two Liz Early products to try. I though I'll do a quick little review on each of them or like...'a first impression' if you will. Let's talk about the cleanser first. Where shall I begin? I have to admit this product really wows me! and I think I am slightly addicted now for many reasons really, shall we talk about the scent? Yes! we should because it is gorgeous and personally I do love putting a product on my skin that just smells divine. This cleanser is a mix of rosemary, chamomile, cocoa butter & eucalyptus essential oil! What a beautiful mix it is, also, it does help that I totally adore cocoa butter & chamomile scents. The constituency is very thick and perhaps it might put off some peoples but in my opinion, I just love it. By just layering this gorgeous thick cleanser on my skin feels, somehow, very relaxing and very pleasant, perhaps the mix of the constituency along with the beautiful scent helps a lot. As instructed I always removed it with a warm muslin cloth or large cotton pad, either way it always feels really nice and removes most of my make-up but most of all my skin does feel super soft and gorgeous after using it. Now I'll turn to the Liz Earle Skin Repair Moisturiser. So this one was a little adventurous, why you may say? It's that I am a bird of old habit and when it comes to moisturiser I do like my Clinique, Clarins, Botanics, Nivea brands but still I do love trying new products. My first impression about this product is the thickness of it and how moisturising it is. I tried it for many days on and off and it does the job no doubt about that! My facial skin felt very moisturised and very soft (and we love that don't we?) but, yes there is a BUT... it is that: I really dislike the scent. The scent is a mix of Borage and Avocado oils, which, don't take me wrong I love those two scents individually but somehow mixed together I just don't really fancy it. What can I do to get passed the scent? Any suggestion? It really upset me but you know sometimes you have to kind of force yourself when you do not like something until you start appreciate it I guess. So here you have it my Liz Earle little haul? Do you have any suggestion on any other Liz Earle products that I should definitely try (and that do not have Borage & Avocado scent)? Tell me all below.